Interior designer Jared Paul's country house just south of Atlanta in Palmetto is featured in the November issue of Atlanta Homes & Lifestyles magazine. 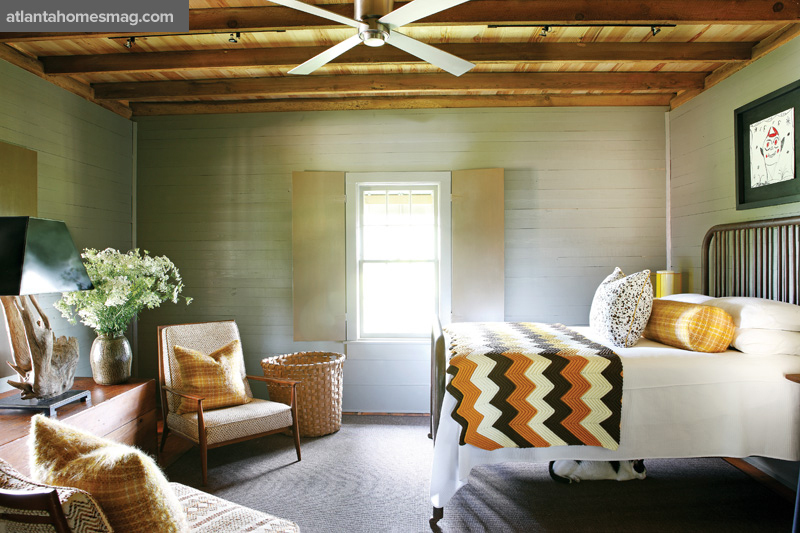 Talk about the perfect mix of modern meets the farm! Paul's selection of clean lined contemporary furnishings, vintage pieces upholstered in updated fabrics, and all layered with handcrafted accessories is a style right up my alley. Click here to see more. I was particularly excited to see the addition of a vintage afghan blanket draped over crisp white bedding (as seen above). I tend to seek out classic knit pieces for their vibrant color & interesting pattern. 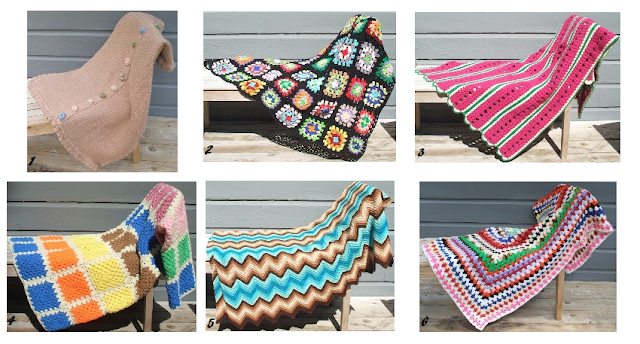 Afghan blankets are the perfect way to introduce a little something unexpected to a room. Currently, I have a collection of afghans available in my Etsy store -- email me at duchessfare@gmail.com with any questions.